Many of you know and love the sweet Paddington Bear books. Have you heard the fun news?! Little Paddington Bear will be making his big debut on the big screen on January 16th. This new movie comes from the producer of the beloved Harry Potter films, and stars Nicole Kidman. 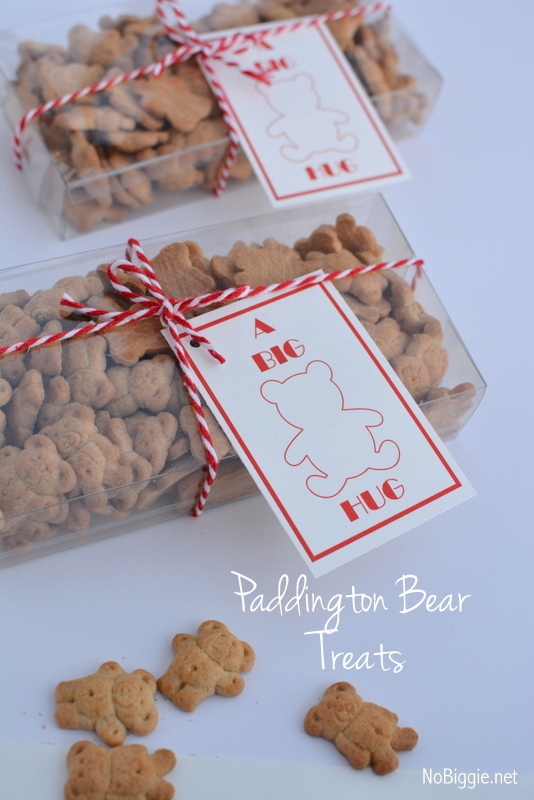 In anticipation of the new Paddington movie, I thought it would be fun to share a Paddington Bear themed treat. We all know someone who’s going through a hard time, and a little sweet treat with this cute printable gift tag is a fun way to let your friends or family know you’re thinking of them…with “a big bear hug”. 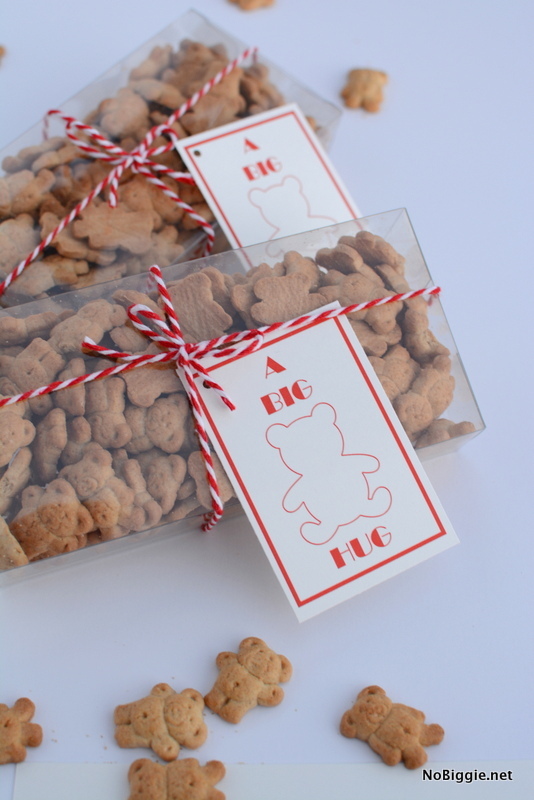 Clear plastic boxes, red and white baker’s twine along with these cute free printable tags (click here to download) make these little treats of something so simple like “teddy grahams” become a darling treat that will bring a smile to someone who needs it. For all things #PaddingtonMovie – find him on Twitter, Facebook, Instagram and on Pinterest. *Thanks to the new movie Paddington for sponsoring and inspiring this post. These are adorable and my kids want to do these as their class valentines! Can you tell me the size of the box you used and where you found it? Hi Katharine! The box was about 2×4 inches in size. How fun for Valentine’s Day!